FOREST GROVE, OREGON — Olivia Schinski was given away by her father Bo to be wed to Page Bailey on Sept. 4, 2016. They gave their own special vows to each other in a double ring ceremony, officiated by Pastor Rudy Tinoco. The wedding was held at McMenamins Grand Lodge in Forest Grove, Oregon. Olivia’s attendants were her sister Merrill Schinski as maid of honor and her friends Chloe Stenkamp-Strahm, Amy Schulz and Chelsea Bailey Clark as bridesmaids. Page’s best man was Kanishk Joshi and groomsmen were Brian Kilwein, Mark McDonald and Carl Bishop. Many family and friends came to celebrate this special union. 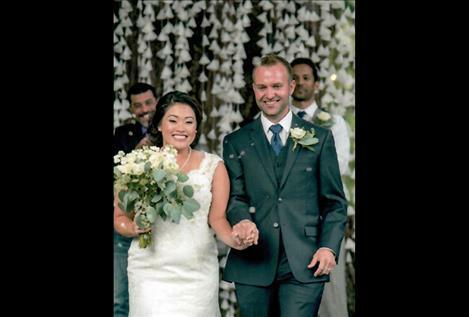 After a honeymoon in the Dominican Republic they are at home in Forest Grove.